Chris is Professor of Astrophysics in the Department of Physics at Oxford University, Professor Lintott is involved in a number of popular science projects aimed at bringing astronomy to a wider audience. He is the primary presenter of the BBC series The Sky at Night, having previously been co-presenter with Sir Patrick Moore until Moore's death in 2012. Lintott co-authored Bang! –The Complete History of the Universe with Patrick Moore and Queen guitarist and astrophysicist Brian May. Chris Lintott is the co-founder, along with Kevin Schawinski, of Galaxy Zoo, an online crowdsourcing project where members of the public can volunteer their time to assist in classifying over a million galaxies. Lintott is the principal investigator for the citizen science web portal Zooniverse. Quoting from the Zooniverse Team page: "Astronomer and founder of both Galaxy Zoo and the Zooniverse that grew from it, Chris is interested in how galaxies form and evolve, how citizen science can change the world". Lintott is also the chair of the Citizen Science Alliance, the organisation that produces, maintains and develops The Zooniverse. The charismatic Paul, one of our first ever society speakers returns to present the first of a two part talk about the fascinating Voyager missions. Fourty years ago this August & September the Voyagers were launched on their amazing missions to explore the outer giant planets. Triumphs of Voyager pt1 looks at their Journey and encounters with Jupiter and Saturn which revealed amazing worlds, moons and rings that changed how we understood our solar system. In this presentation, Jane shares her personal, and somewhat unconventional, journey into astronomy. Jane’s enthusiasm for planet Earth and the science of astronomy is infectious. She adores her subject and knows that you will too. Head-hunted for her international award-winning business skills, Jane’s career began at the Foreign & Commonwealth Office, but she took the ‘road less travelled by’ and went to sea instead, becoming a senior officer for sixteen years with a leading British cruise line. Whilst sailing the world her love for astronomy began. Armed with a Degree course in Astronomy and Planetary Sciences, nightly cocktail parties soon became astronomical tours and subsequent successful theatre lectures. Her passion is making astronomy your passion. Her love for life will change your life. An elected Fellow of the Royal Astronomical Society (FRAS), she is now a host and presenter, motivational speaker, bestselling author, broadcaster and registered school speaker. Immersing herself in this beautiful subject, she shares her knowledge and weaves her special magic before capacity audiences of all ages. Whether select clients in corporate team-building events or theatre audiences numbering 2000+, all have been enraptured. Telescopes, cameras, connectors, software, hints and tips, resources, what works with the various astro subjects; this was a great talk that showed you (and allowed you to ask) how it should be done for getting the best results. It included a live demo of the various software applications that allows Mary to create such wonderful results. You can follow Mary at her blog spot account. David Mannion has three degrees in Astronomy and has taught in Schools and Colleges for 28 years in the UK, Austria and Turkey. He has also been a tutor for the Open University in both Physics and Astronomy. 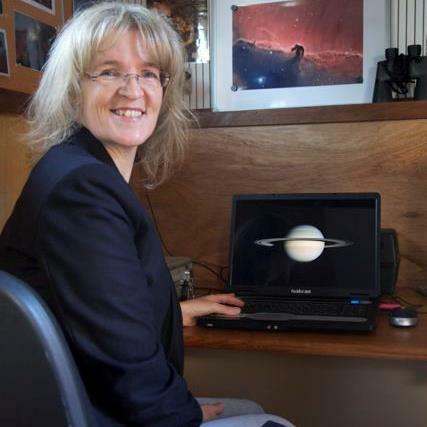 Dr. Mannion became a Fellow of the Royal Astronomical Society in 1984 and was a member of its Education Committee 2005 - 2010. He has run numerous Astronomy Clubs and was a founder member and a Vice President of the Association for Astronomy Education. His other burning interest is weightlifting having once been a British Student Weightlifting and Powerlifting Champion in 1984. He is currently a National Referee for British Weightlifting and became a Masters Champion in the 94 kg class in 2007, 2010 and again in 2012. He wishes to keep lifting weights and watching the stars for as long as possible. He has two videos on Galileo and Newton on YouTube (See The Heavens Above episode 1 and 2). 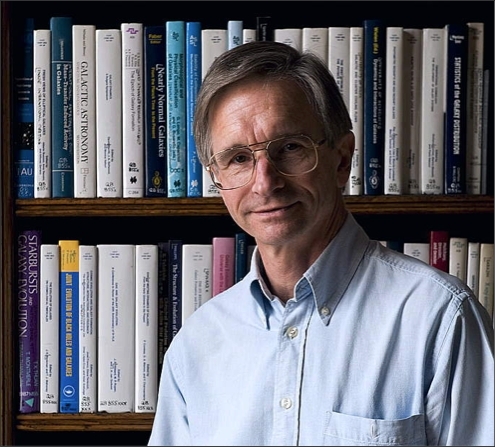 His web site is http://WorldofAstronomy.org.uk/. A Presentation that enthused and enthralled the society with his entertaining talk and interaction. Brad had many strings to his bow (including coffee vendor entrepreneur!) "I try to enthuse astronomy in children with fun, comedy and gags which is not the norm, but it works". Dumbing down astronomy and enthusing a new generation of young astronomers, physicists, Mathematics, etc. "Accessibility and enthusiasm breeds understanding. The key is enthusiasm and you ESAS guys have plenty of that!" A thoroughly entertaining and engaging presentation. Brad won the 2016 year Best Kids Birthday Party in the UK ! Comets appear in our skies from time to time like ghostly apparitions. In the past they were regarded as omens of disease, death and destruction. Now we know that countless billions of them exist in the form of dirty snowballs at the edge of our Solar System, remnants from the formation of the Earth and other planets. We see them only on the rare occasions when they approach the Sun and heat up, releasing gas and dust to form a glowing head and tail. Recent space probe missions to comets have given us astounding close-up pictures and first-hand information on their composition and structure. This talk will explain scientists’ efforts to understand where comets come from, what they are made of, how they were formed and their role in the origin and development of life on Earth. Our Speaker for September was an old friend of ours; Pete Lawrence has been a presenter on the long running BBC Sky at Night television programme since 2005. He has been an astronomical consultant for the popular BBC Stargazing Live television series since it began, and appeared on the programme in 2014 as an aurora expert. Pete also writes many of the guides used by the BBC to support the programme. He compiles and writes the monthly Star Guide for the Sky at Night Magazine as well as carrying out equipment reviews on their behalf and acting as their resident imaging expert. He has held this position since the magazine stated in 2005.